View our range of plastic Polypropylene rod here at Bearingboys. Polypropylene rod is a low weight material that offers significant resistance to impact and chemical or acid attack. 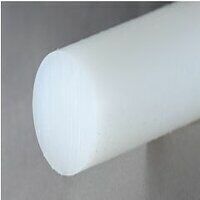 It has low moisture absorption and is suitable for food applications. All next working day delivery orders must be placed by 2.00pm for same day dispatched.